Beautiful 2 family with a finished basement in excellent location. Short sale subject to bank approval. Unit 1 Info: 3 beds. Appliances: Oven/Range. Unit 2 Info: 2 beds. SchoolsClick map icons below to view information for schools near 3522 De Reimer Ave Bronx, NY 10466. Listing provided courtesy of Besmatch Real Estate. © 2019 Hudson Gateway Multiple Listing Service, Inc., All Rights Reserved. The data relating to real estate for sale or lease on this web site comes in part from HGMLS. Real estate listings held by brokerage firms other than Robert E. Hill, Inc. are marked with the HGMLS logo or an abbreviated logo and detailed information about them includes the name of the listing broker. The information appearing herein has not been verified by the Hudson Gateway Multiple Listing Service, Inc. or the Hudson Gateway Association of Realtors, Inc. or by any individual(s) who may be affiliated with said entities, all of whom hereby collectively and severally disclaim any and all responsibility for the accuracy of the information appearing at this web site, at any time or from time to time. All such information should be independently verified by the recipient of such data. This data is not warranted for any purpose. Home for sale at 3522 De Reimer Ave Bronx, NY 10466. Description: The home at 3522 De Reimer Ave Bronx, NY 10466 with the MLS Number 4921215 is currently listed at $479,000 and has been on the Bronx market for 7 days. 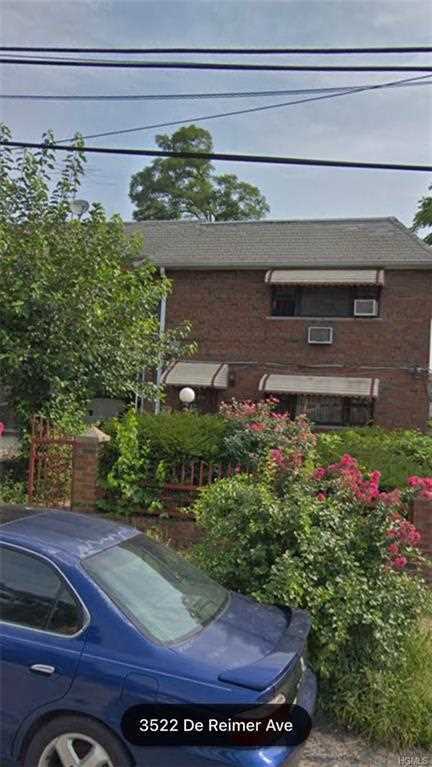 You are viewing the MLS property details of the home for sale at 3522 De Reimer Ave Bronx, NY 10466, which includes 5 bedrooms, 2 bathrooms and has approximately 3174 sq.ft. of living area. © Copyright 2019 Robert E. Hill, Inc.. All Rights Reserved.